Since 1974, Matthew Cravey has been involved in real estate marketing, sales, leasing, management, investment, and development. 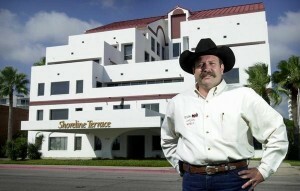 As President of Cravey Real Estate Services, Inc., the largest Commercial Real Estate Company south of San Antonio, Matt holds two of the highest designations in the commercial real estate industry: Society of Industrial and Office Realtors (SIOR) and Certified Commercial Investment Member (CCIM). Matt is known for his proficiency in problem-solving, as well as his tenacity, focus and passion, intensity and desire. Matt and his firm have cultivated a reputation for reliability and prudence in providing clients with real estate leasing and sales, investment counseling, asset management and real estate marketing services. He has helped court trustees, creditors and debtors negotiate and resolve problems involving property in bankruptcy, and has testified as an expert witness in legal cases involving lenders vs. borrowers, offering his expertise on both sides of the equation. Read more about Matt’s approach to real estate and business in this media profile. Raised in the Texas Hill Country, Matt began his career in the real estate industry in 1974, selling ranch land and large commercial tracts in the Kerrville-San Antonio region. He continued selling ranch property when he moved to Corpus Christi in 1976, but the scope of his professional involvement quickly expanded to include marketing commercial buildings, retail centers, apartment complexes and developer tracts, as well as income property and asset management. Although working primarily in Texas, Matt’s real estate expertise extends to out-of-state clients in markets including New York, Atlanta, Memphis, Santa Fe, Oklahoma City, Tampa and Jacksonville, Florida. His experience with large, complex properties has allowed him to build a network of investors, owners and brokers in Mexico, Germany, Japan, Korea, Canada, the U.K., Netherlands, Belgium and Switzerland. Recognized for his production in real estate sales and leases, Matt has won the prestigious NAI Global Elite award several times throughout his career. As an expert in the real estate industry, Matt has contributed numerous articles to both state and national trade journals over the years. He also has been featured on local television and radio programs, and quoted for over 25 years in the Corpus Christi Caller Times in reference to many diverse issues in real estate. Listed in numerous directories of the Who’s Who among Real Estate Professionals. 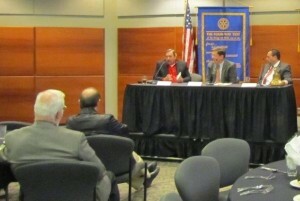 Served as a regular panelist of the Corpus Christi Chapter of Rotary Club, contributing his insights into the state of the economy as it pertains to Commercial and Industrial Real Estate. 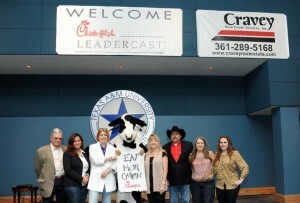 Brought the Chick-fil-A Leadercast to Corpus Christi for the first time, held at Texas A&M University. Now in its 12th year, Chick-fil-A Leadercast is the largest leadership conference in the world. As host, Cravey Real Estate Services, Inc., is recognized as a Leader of Leaders.